This week: Perle de Jade from L'Oréal is up! 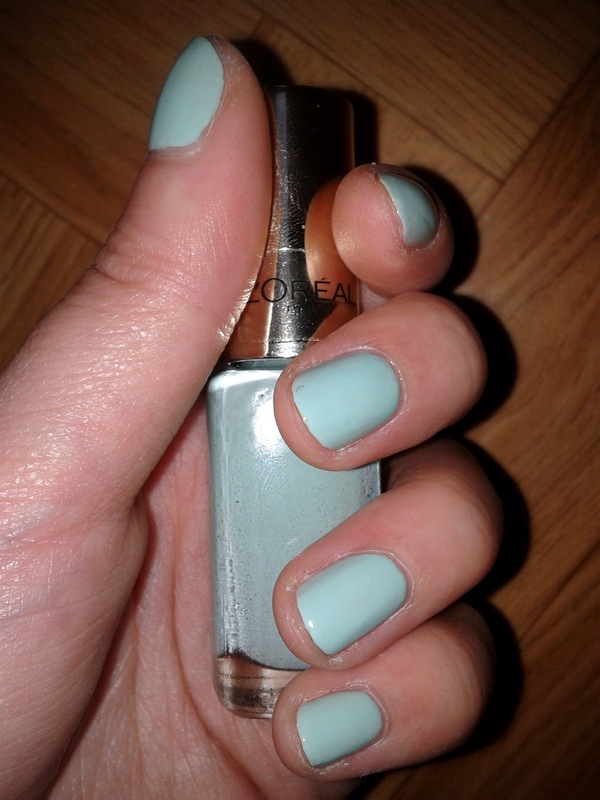 This is a minty green from the new L'Oréal Color Riche collection. Although it's a beautiful color, the creamy formula isn't all that great. It goes on quite streaky and you should leave enough time between two layers. The brush is a quite wide one, which for some will be a big no no, but I actually kind of like it. Overall, like the color (yay pastels! ), like the brush, like the price (paid 10,99 for 2! ), don't like the formula that much. Won't be repurchasing it, but will be rocking this color A LOT this summer! Want to get Naked 2?